We all would agree that fruit is good for us, right? Why is it then people start questioning the idea of eating fruit in abundance? We seem to all be instilled with the fear that sugar is bad, even the natural sugar, fructose. Why is this? Is it because Dr’s have told you to stay away from it? The problem with most health care practitioners is that they don’t know how to fix and rebuild problems that arise within the body; few even know why cells fail! Did you hear a friend or loved one say fruit sugar is bad, or are misinformed by the media? Ask yourself why fruit sugar seems to be the enemy and have you truly researched the reason why it is bad? I am going to look at the chemistry and magnetic side of things to show you that fruit sugars are good and essentially what our bodies need in order to thrive. Fruit as fuel, nutrition, & cleaners of waste. There are approximately 100 trillion cells that comprise your physical body and they all must be fed and cleaned. Fruit does just that. Eating a diet high in fruit provides an abundance of positive reactions within the cells. 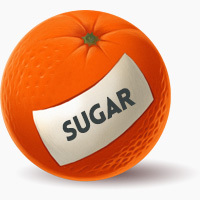 People often view fruit as sweet foods that only contain sugar. You may not realize how nutritionally dense they are. It bathes your cells in everything that they need (and want!). There are many properties that make fruit superior to vegetables. Fruits are higher in antioxidants and astringents and will move your lymphatic system far better than vegetables. This is why one sees a lymphatic response when fruit is consumed. That is what you want! Fruits, also being a simple sugar, are superior for diabetics, pancreatitis, hepatitis, and all other gastric and intestinal conditions. Fructose does not require insulin or extensive digestive enzymes. Fructose is merely pulled into the cell by diffusion with no carrier needed. 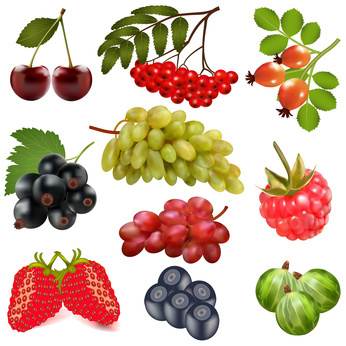 Fruits’ magnetic (electrical) energy is the highest of all foods, making them superior brain and nerve foods. They will bring energy to the body where most other foods take it away. NEVER FEAR THE USE OF FRUITS! Remember, fructose is so electrically alive and provides life force! Being that fruits are astringent, they are also carrying out waste at the same time. Quick utilization, lymph pulling and highly nutritional. What more could you ask for? With that said, it should be obvious that fruit is good. What is bad, is the proteins, fats and starches that one consumes! It is best to balance high fruit eating with leafy greens, sprouts, some seeds and nuts & some healthy fats such as avocado & coconut. Not starches, fats, proteins, animal meats or refined sugars. Let’s look at science in regards to cellular physiology. 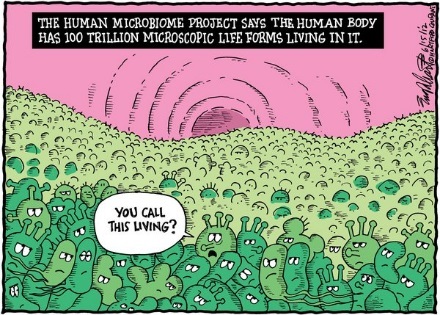 Your body is compromised of cells. Every organ, every gland, bone, muscle, ligament, all just a bunch of cells. Your cells are very much like your car engine. Energy is the main factor in function and mobility in this universe. Energy is the intelligence of creation. Chemistry is simply vibrational frequencies of energy. With this understood, the most popular source of energy on this planet is carbon & oxygen. They provide a source of energy to all life. We use the chemistry of carbon and oxygen to provide fuel to run most engines. We combine oxygen (carburetor) with carbon (gasoline) to create energy; then we funnel the acid wastes out of the exhaust (lymphatic system). Your physical body requires the same process. Oxygen and carbon (sugars, which are carbohydrates) combine at the cellular level to create ATP (Adenosine Triphosphate). Your cells require ATP to function and thrive. Within a cell you find a power producer known as the mitochondria. It is within the mitochondria you find the process of mixing oxygen (air) and carbon (simple sugars) which yields ATP. ATP is cellular FUEL. Simple sugars are an essential ingredient required to create ATP. Without enough ATP a cell will weaken and become attacked (mainly by parasites), or bonded with a virus, or antigen. Without sugar (carbon) your cells will die. The same is said about oxygen. Sugar is the main need of a cell in its functional ability, without which it will begin to die and mutate. This then sets up an Immune Response to the cell (s). Popular to contrary belief, your body does not use amino acids (proteins) for energy, nor fats, it uses sugar. Proteins can be broken down into glucose for this purpose, but at great cost to the health of the individual. Burning a protein for energy is like using the walls of your house to burn in your fireplace. It is only the adrenaline or epinephrine in meat that is energetic. This is a problem in that your adrenal glands are supposed to supply your body with adrenaline, when needed, for nerve function. Relying on it from a meat source, only weakens your adrenals even further. Sugar = oxygen + carbon = essential energetic force of life. It is vital to clean, strengthen and regenerate your cells and tissues and this can be accomplished by eating a high fruit diet. Fruit sugar is the simplest Carbon on Earth and the most easily digested foods and it is what your cells need in order to function optimally. It is the complex sugars that people must stay away from!!! Sugars found in grains, refined sugars, dairy products, and the like, cause fat storage and are highly acidic and congestive. Hate to break it to you- but bread, cheeses, & starches have 100 times more sugar then fruit does. When you consume complex sugars like this, your body now has to deal with the excess sugar and now has to store them as fat, excrete what it can, and use the fungal family to help it rid itself of all the leftover sugar. Now we are back to excessive acidosis. Welcome in Candida because they are the garbage men of life. Don’t blame them for coming in to do their job! Its only nature. A lot of man’s toxemia also comes from excess proteins and fats, which are broken down into acids, stored and/or parasitically acted upon. With a stagnant lymphatic system, this creates: systemic acidosis, body odors, culturing of parasites (bacterium, fungi, protozoa’s, etc.) all of which starts the inflammatory (immune) response leading to the atrophy of the body. Thats why it is so important to eat more fruit and less protein and fat! Fruit does NOT cause or feed Candida/Fungus/Bacteria, its your body’s malfunctions that cause it. Fruit sugar will only promote these issues if you cannot metabolize your sugars. If you have fermentation problems that only means you are not metabolizing sugars properly. What causes sugar metabolism problems are weak adrenals and/or pancreas. (I can guarantee you most of you reading this have weak adrenals!) Bottom-line, it is not the fruit that is causing issues, it’s your body. The underlying problem with high yeast and fungi/Candida problems is a congested, stagnant lymphatic system along with weak adrenal glands, non-filtering kidneys and/or a weak pancreas. The overconsumption of starches (complex sugars), fats and proteins and/or improper food combining can also play a big role with inviting fungus, bacteria and yeast in. Remember that your culturing medium for Candida (fungi in general) & yeast is your lymphatic system. Top it off with weak adrenal glands and/or pancreatic weakness and you have a problem. With compromised adrenal glands, you will experience a decreased production of cortisol. 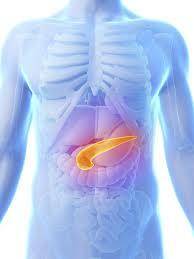 Cortisol controls sugar metabolism process along with your pancreas (through output of digestive enzymes). I hope with the above, you can see through the myth! If you put out a piece of cheese, a slice of bread, and some grapes or a ripe banana on the counter in your kitchen, which one is going to grow mold (fungus) on it first? It will be a race between the bread and cheese. The fruit will only grow mold as it begins to ferment, since the cheese and bread are already fermented. Remember: Nature uses the parasitic kingdom to clean and eliminate that which is not needed, damaged, or in some way loses its ability to support life in a healthy way. Fermentation and putrefaction are the processes of decay, or breakdown, which require parasitic action. Healthy cells and lymph do not require parasitic action. Of course this includes the cells in your body. With this understanding, what type of sugar could feed Candida (yeast, fungus, molds, warts, etc.)? That’s right… STARCHES and EXCESS COMPLEX SUGARS! Fact: 75% of all disease have an endocrine gland involvement! *Please keep in mind that if you have Candida and you start eating high fruit, it will stir up things as it pulls on the lymphatic system. This means you will likely re-experience itching, fatigue, foggy memory and other symptoms of fungal overgrowth, as you eliminate the fungi from your body. More moles/skin tags may develop on your skin before they disappear completely. Use a good parasite formula like Parasite M to your advantage but never forget to work on the lymphatic system and your adrenal glands, kidneys and/or pancreas. A good place to start is a two week kit of herbals along with eating high fruit, while transitioning off animal products, starches and dairy. I often get asked about why one cannot digest fruits well. If you have a lack of digestive power from a weak pancreas, your simple sugars will very likely begin fermenting, causing bloating, digestive upset and undigested food particles in stool. Throw in a lack of sufficient sugar metabolism from weak adrenals and you may even experience serious problems eating fruit. The solution is not to abandon fruits (especially) and vegetables. The solution is to fix the underlying cause of the problem and to work your way through this process while still consuming fruits and vegetables. Use herbs, essential oils and/or glandulars (if needed) to help you through this. *To see if your adrenals are low take your blood pressure. It should be 120-130/65-70. Anything with the tops number, lower then 120 indicates weak adrenals. “Sugars feeds cancer” is another tremendous myth. Acids feed cancer as acids create inflammation and the parasite response. To claim sugars feed cancer is to deny what decades of science has proven. To starve the body for a sugar is to starve the cell of its energy. This causes cancer. Starvation, acidosis, and ketosis damage cells. A damaged cell is on its way down the road to A-typical and becoming a cancer cell. This is also true of proteins and refined fats or too many supplemented fatty acids. Remember if you are starving your body of sugars, you are starving all your cells. Your body’s health depends upon the health of its cells! A cancer cell is an “acid damaged” cell or a “starved” cell which mutates as acids continue to break it down. Trying to “starve” or kill cancer cells is a dangerous practice. If fruit sugar (fructose – a simple and superior sugar) feeds or spreads cancer, then be mindful that vegetable plant sugar (glucose – a simple inferior sugar) will do just the same. It doesn’t matter what any anti-fruit diet advocates, naturopaths or medical doctors assume about fruit sugar and its supposed link to cancer or yeast. Fruit contains sugars. Vegetables contain sugars. Your cells require simple sugars to function and it is impossible to starve your damaged cells of sugar without starving your normal cells in the process. So if you are thinking that vegetables are a better choice for these conditions, think again. Vegetables are overall more difficult to digest and energy-draining; also not to mention that glucose (vegetable plant sugar) is an inferior sugar compared to fructose. It should be clear that if sugar feeds cancer in the fashion that people generally relay it, you’d be in TROUBLE because you CANNOT starve the body of sugars whether it is from fructose, glucose, galactose or any other simple sugars. Your body will always be converting sugars for food! Remember, fruits are much more electrical (energetic) to one’s body and are much higher in antioxidants and astringents than vegetables, which makes them ideal in all cases, especially cancer. Now on the other hand, if you consume acidic sugars, or sugars that will indirectly lead to acidosis of the body, then we could, easily, consider the idea of sugar “feeding” cancer and yeast. These sugars are from food sources such as refined sugar, rice, potatoes (white potatoes in particular), pastries, pasta, rye, oatmeal, and starches. Most diabetics have kidney weakness as the adrenal glands sit on top of them and the adrenal glands are always somewhat involved in all diabetics, as they control sugar metabolism. Diabetics are very vulnerable to cancer as weak kidneys obstruct the proper flow and cleansing of one’s lymphatic (sewer) system, which deals mostly with cellular and parasitic wastes (acids). 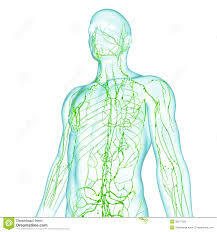 The lymphatic system is one’s main immune system. The system that cleans you. Diabetes is one of the easiest conditions to cure! To summarize: those who have higher fasting glucose levels are starving their cells for essential carbon, which is vital in keeping a cell healthy and alive. Fruits would be very advisable in these cases, as fruit sugars can be used by cells where pancreatic and adrenal function can block glucose (vegetable sugar) entry. You might initially have some blood glucose “loading” but this will disappear and your cells will be getting energy and therefore, the atrophy will stop. Some people react negativiely from eating fruit. Fruit receives a bad rap for the deeply misunderstood astringent qualities (the pulling actions certain types of fruits have on tissues) which, admittedly, can become problematic if every eliminative pathway is closed shut. This is why I advise people to begin a slow transition towards raw foods if coming from a S.A.D. (Standard American Diet). Start replacing breakfast with fruit. If fruit is too strong, begin with green smoothies and work your way up. Your goal is to eat two (or three) meals of fruit a day and the third meal being a salad, low fat raw meal, steamed veggies, steamed baked sweet potato, vegetable soup (no tomatoes) or the like. I like to recommend going on an herbal kit right away if affordable, to address parasites and to heal the stomach and bowel, kidney/bladder, adrenals along with the liver/gallbladder. It is VERY IMPORTANT that you address glandular weaknesses and open up the elimination channels of the body. Rejuvenate your adrenal glands, kidneys and pancreas so you start filtering wastes out and can consume more fruit. Also clean up the gut and kill fungus/bacteria. Again, you can do this with parasite herbs and a colon cleanse kit by Blessed Herbs. I love this brand because it is gentle and easy. Please note, In a deteriorating and toxic body, fruit WILL stir things up. It will start to break down lymphatic waste and toxins and this is why its very important your elimination channels are open. (Those are your kidney’s, skin, stomach/bowels and the lungs.) If they are not open and you start stirring up toxins with no where to exit, they will then get re-circulated into your system causing some unpleasant detox symptoms. To get your channels to open and filter, you need to eat fruits. (yes, you have to eat the foods that are causing you unpleasant symptoms in the first place in order to get to the other side) This is where herbs can come in and help with enhancing the ability to eliminate toxins while strengthening glandular weaknessess that are causing elimination channels to be closed in the first place. Don’t fear fruit! Clean the body up, fix the underlying issues and fruit will heal you! 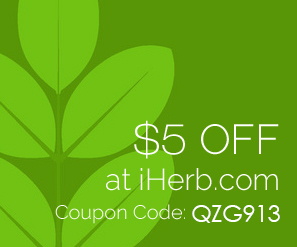 Herbals are the boosters to the fruit, learn to use them to your advantage! “Do yourself a favor and don’t fall into the trap and illusion of those who do not know science and misinterpret these types of studies to fit their own misguided belief systems. The homosapian is a frugivore. 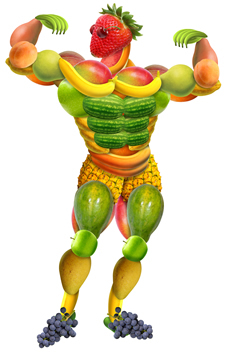 Fruits are the gifts of the plant kingdom to man. Herbivores eat plants and are designed much differently than we are. (See my book: “The Detox Miracle Sourcebook.”) Our clinics’ clients have a 90% or better “cure rate” in those that have all types of cancer who go on our health programs. We use a lot of fruits in our health programs, especially grapes. Our cancer clients who used a high amount of grapes eliminated their cancers in as little as 45 days. Most in as little as 2 to 3 months. * consume a low to high intake of fruits (depending on intensity of symptoms). * Vegetables are okay (preferably as the last meal of the day). * Absolutely no starches or complex carbohydrates. * Experiment with eating smaller [fruit] portions more frequently. Try mono-meals of eating one type of fruit in each sitting. 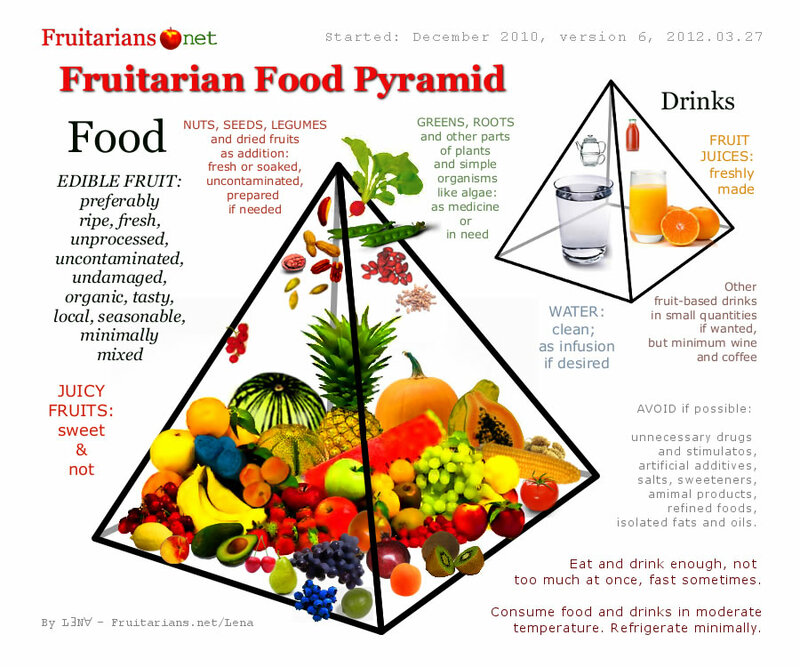 * Fruits are easier to digest (which generally means less fermentation) compared to vegetables. * Fruit sugar will stir up the lymphatic system thereby stirring up fungi for elimination and you will likely experience symptoms from this. * If the symptoms of fungal elimination become too severe on a high fruit diet, then slow down with raw/steamed/stir-fry vegetables, rebalance, and kick it up to fruits again when ready. * Remember that vegetables possess simple sugars, so if “fruit feeds fungi” then vegetables will do just the same. *Eat high water content sub-acid and acid fruits, especially the astringent fruits such as grapes, grapefruits, watermelons, lime and lemons are the strongest. *Practice good food-combining. For example, always eat melons alone! *Have fun, and enjoy the colors, smells and tastes of nature’s candy! hi, I need some sort of encouragement.. I started Dr Morse diet protocol plus herbs 2, 3 weeks ago. I find it so hard and I am having so many doubts about this.. Did you heal? I just need some encouragement that this works. Just so hard to be on fruits and veggies only. How are you doing now? Yes I’ve healed! 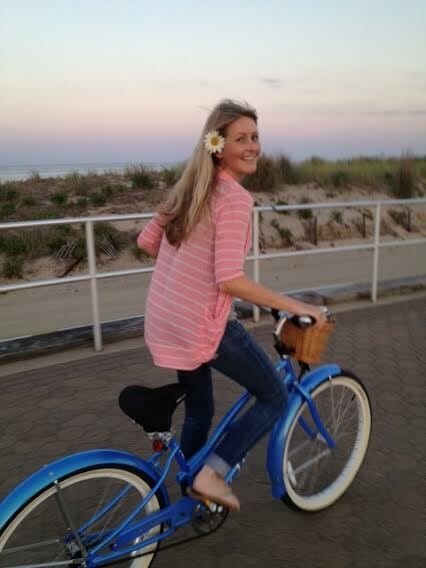 Still plan to detox more this summer to dig deeper. I’m feeling great! It’s very hard at first and you will naturally have doubts but I encourage you to continue and put in the dedication. It requires patience and lots of motivation to stay focused but it will all be well worth it. Please buy Medical Medium book too to research further into your illnesses. All the best!! hi again, thank you for the encouragement. I just bought the book. I will go on with my diet, Thank you again. Amazing that you healed and all is well! Thank you again. Thank you so much for the HUGE amount of information on this site. I too have Lyme and have been wondering which direction to turn to next after 5 months of abx have left me worse off than I was before I started. How have things been going for you lately? It’s so hard when all the information out there seems soooo conflicting. Thank you! Many thanks Dr. Morse. I arrived at this blog by accident. Half way through the article, I thought, God this person’s knowledge rivals that of Dr. Morse, they even use some of the terms he uses! So wish me luck on the start of my journey to get the kidneys filtering again. Hopefully the foggy brain will go with it…lol. peace to God’s physician.